EAST was formed as the European ATM Security Team in 2004 to focus on ATM security when card skimming was a rising issue in Europe. On 8th June 2017 EAST changed its name to the European Association for Secure Transactions to reflect significant changes in the payments landscape and its remit now covers both Terminal Security and Payment Security. EAST National Members represent countries within the Single Euro Payments Area (SEPA), as well as others by special arrangement, and active links are maintained with both Europol and Eurojust. For the purposes of sharing information and crime statistics, EAST maintains connections with organisations outside of SEPA. The EAST Expert Group on All Terminal Fraud (EAST EGAF) was launched in 2013. 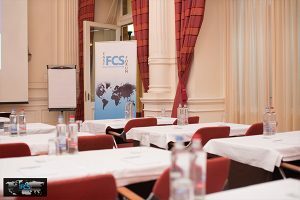 It is a European specialist expert forum for discussion of all Terminal related fraud trends, fraud methodologies and counter-measures, and for the provision of guidelines and other documents for the benefit of the industry and Law Enforcement. The EAST Expert Group on ATM and ATS Physical Attacks (EAST EGAP) was launched in 2014. It is a European specialist expert forum for discussion of physical attack trends, attack methodologies and counter-measures, threat protection, and for the provision of regularly updated lists of known counter-measures. The EAST Payments Task Force (EPTF) was launched in 2016. Its purpose is to provide a specialist task force for discussion of security issues affecting the payments industry and for the gathering, collation and dissemination of related information and statistics. Three European Fraud Updates each year, based on reports provided by National Membersat each of the three EAST meetings. Lists of devices and systems for the benefit of Industry stakeholders.